All of our teachers are industry professionals that will likely be working a client session before your one-on-one lesson. As well, we regularly bring in high profile industry professionals into the studio to guest produce and guest speak. Tim Palmer has produced and mixed albums for a huge selection of classic and alternative artists, from Robert Plant, David Bowie and Tears For Fears to Ozzy Osbourne, Goo Goo Dolls and U2. In 1989 Tim mixed 'TEN' for Pearl Jam, which is now in the top 50 best album sellers in US history. In 2001 Palmer was nominated for a Grammy for his mixing work on U2's All That You Can't Leave Behind. 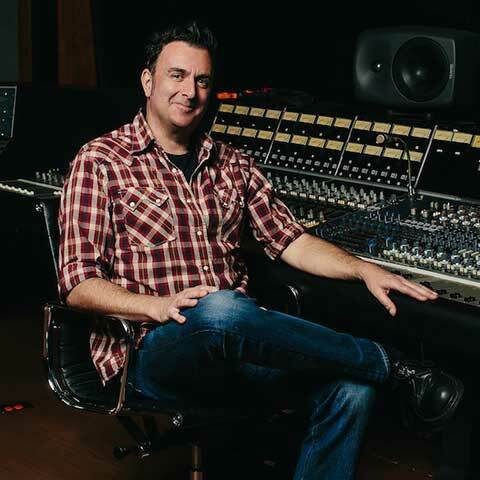 Dwight A. Baker is a platinum producer / engineer / mixer /songwriter based in Austin, Texas who has worked with many artists such as Kelly Clarkson, Brandi Carlile, Bob Schneider, Blue October, Alpha Rev, and David Archuleta. You can also visit his recording studio's website: www.Matchbox-Studios.com. 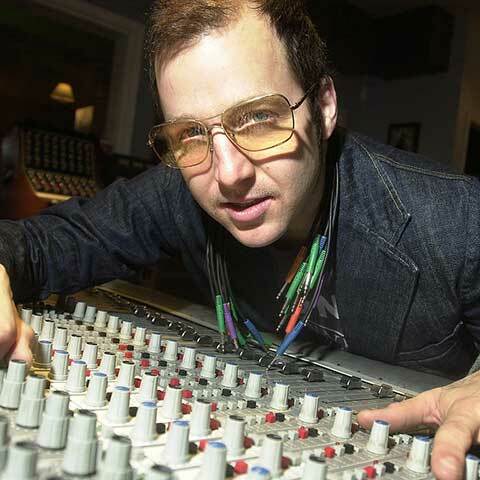 Fenchie has produced well over a hundred records, including: And You Will Know Us by the Trail of Dead, Meat Puppets, The Toadies, Gregg Rolie of Santana & Journey, The Answer, Built to Spill, Jet,and many more. Mixing credits for bands such as The Darkness, The Datsuns, The Dandy Warhols, etc. As a successful indie-producer, Frenchie has achieved a Grammy nomination, has gotten to work with many foreign musicians, recorded at many notable studios all over the world, and was also chosen to speak at the 2009 SXSW Producer Panel convention. Frenchie is managed by Worlds End Management based out of L.A. and is also a governor for the Grammy's. Bio: TRCOA founder John Stinson began his career in music at a young age as a musician and performer. By the time he was 16, his interest in audio engineering was fully developed as was running a live sound crew and mixing for legends like B.B. King, Bobby Blue Bland and Eric Johnson. His passion for music led him to pursue a music degree at the University of Texas at Austin where his entrepreneurial skills took shape. John opened Stinson Studios in 1993 while still an undergraduate music performance student. His knowledge of music as well as his personal experience as a performing guitarist gave him the skills and temperament needed to relate to artists on both technical and artistic levels. Throughout the years, Stinson Studios has been a part of the history of hundreds of bands. From Grammy award-winning classical ensembles like Conspirare to heavy metal band Trivium and country artist Kevin Fowler, the studio and John have been part of the fabric of Austin's fabled music scene for over 20 years. In 2002, John founded The Recording Conservatory of Austin in order to share his knowledge and expertise in audio engineering and entrepreneurship. From its beginnings in the first studio space on Penny Creek Drive to the beautiful facility on City Park Road, the school has continued to grow both in size and scope. Offering courses in composition, ProTools, music theory, music business development and more, TRCOA has facilitated the development and success of hundreds of artists, producers, songwriters, videographers, and audio engineers. John Stinson has been a musician since he was nine years old and has owned and run Stinson Recording Studios since 1993. Years ago I decided to record my high school band, using a cassette deck that I "borrowed" from the school. The result didn't quite measure up t​o what I hear​d on great records and my fascination for sound took hold. ​After achieving 2 degrees in audio engineering I was hired at the world renowned Electric Lady Studios where I worked along side engineers such as Eddie Kramer, Russ Elevado, and Jamie Candiloro to name a few. Now residing in Austin, TX, I have worked at some of the best stu​dios in Austin, and I'm a personal assistant to legendary mix engineer Tim Palmer. My mission is to find the best studio fit to achieve whatever the band and producer envision for their project​. During the session, I maintain a positive,stress-free, and productive vibe. I always stay a step ahead of the band to make their artistic energy come out in its finest form. Travis Kennedy was named #3 top producer at the Austin Music Awards and his artists place top 5 in several categories. 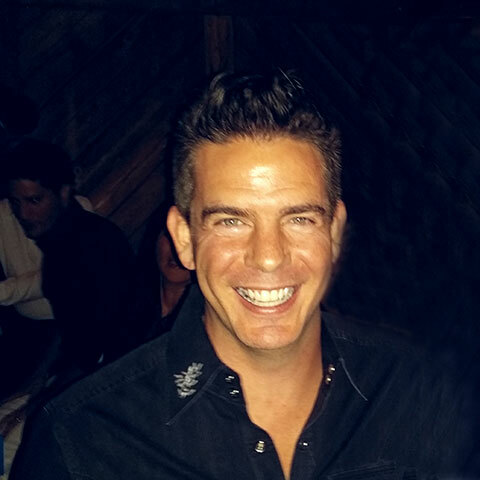 Greg Gonzalez is a music industry professional with 22 years of performance, songwriting, producing, audio engineering, mixing and music business experience. A capable multi-instrumentalist, Greg is a founding member of the Grammy-award winning Latin big band Grupo Fantasma, funk ensemble Brownout and Peruvian inspired combo Money Chicha. During his career, Greg has toured nationally and internationally including tours of Canada, Europe, The Middle East and Pakistan. As a songwriter, producer and performer he has recorded on over a dozen albums and as a sideman he has recorded on several more. He co-mixed and co-produced the Grammy nominated “Sonidos Gold” and the Grammy-award winning “El Existential” (Grupo Fantasma) and his songs have appeared in advertisements, television and movies. He has also performed onstage and on records with numerous artists including Prince, Sheila-E, GZA (Wu-Tang Clan), Daniel Johnston, Larry Harlow (Fania All-Stars), Steve Berlin (Los Lobos), Maceo Parker, Will I Am, Talib Kweli, Mary J. Blige, Marc Anthony, Raekwon, Master Killah, Biz Markie, Bushwick Bill, Aaron Behrens, Dean Ween (Ween), Bernie Worrell (P-Funk, Talking Heads), Chepito Areas (Santana), Josh Baca (Los Texmaniacs) and many others. Greg currently has two full-length albums slated for release in 2016, “Brownout presents: Brown Sabbath Vol. II” by Brownout (Ubiquity Records) and “Echo en Mexico” by Money Chicha (Vampisol/Muster Records) and he remains active recording, teaching, touring and performing. Kfir Gov (born in Italy and brought up in Germany, France and Israel) is an Internationally Awarded Israeli music entrepreneur, producer, songwriter, mixer and performer who had been granted by US Homeland an EB1 Extraordinary Abilities Green Card based on his talent and achievements in the field of music. Kfir is the owner of Evil Snail Studios in Austin, TX and the previous owner of Keoss Studios in Tel Aviv, Israel. Kfir is a multi instrumentalist, singer and founding member of the EDM/Rock act "Seek Irony", signed to Silver Lining Music and Warner Music Group. Kfir has produced/co-written 120+ Singles, EPs, Albums and has mixed hundreds of tracks by various artists from all around the globe in a grand diversity of musical genres - EDM, Hip hop, Rock, Blues, R'n'B, Metal, Pop, Musicals, Country, World Music and more. Among his works, in 2011 Kfir had co-produced, "We are so alike", a song that was created as part of a special project to celebrate 20 years of diplomacy between the countries of Israel and China - feat. famous Chinese pop-opera singer "Ha Hui" and famous Israeli pop-opera singer "David D'Or" - which was later awarded "Best Original Duet of 2012 in China". In 2016 Kfir's band "Seek Irony" was awarded "Outstanding Album of the Year in North America" (in the unsigned category) for their album "Tech N Roll" at the NAIRMA Awards (North American Independent Rock Music Awards) as part of the NAMM convention in Anaheim, CA - An independent achievement that had led to the signing of the band by a major label. Kfir's songs have appeared in prime time TV shows and notorious video games. Kfir continues to write, produce, mix for various artists at Evil Snail Studios and perform, tour internationally with his band "Seek Irony". 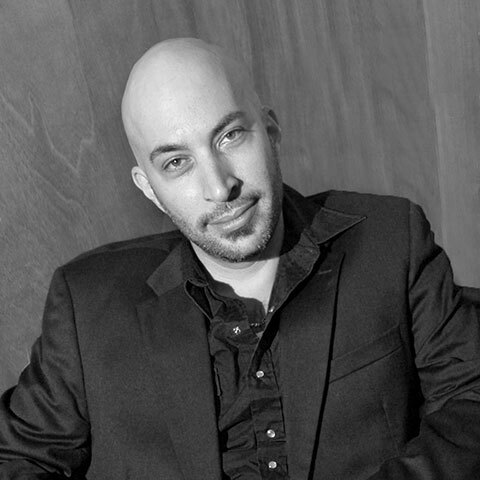 Internationally Awarded Israeli music entrepreneur, producer, songwriter, mixer and performer. Jet Jaguar, a musical savant and master communicator, is an independent music composer, arranger, producer, performer, and audio engineer based in Austin Texas. Jet is also a professor of music production and audio science. Jet has been writing and recording music since 1995 and has studied music and audio in a range of academic settings in The US and The UK including The Recording Conservatory of Austin where he graduated top of his class. Jet's musical works have contributed to beloved recordings by Grammy winning artists and major label records released in The United States and internationally. Cutting to the heart of vintage soul with razor sharp modern production; Jet's unique sonic signature has become an important part of the "Austin Sound." Greg holds a B.A.A.S. 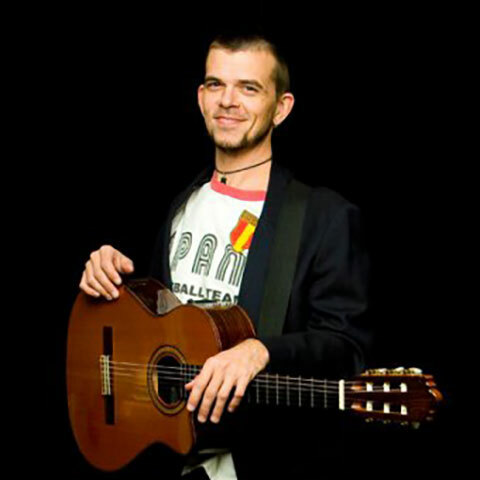 with a concentration in Jazz Performance, Ethnomusicology, and classical guitar from the University of North Texas and has also attended The Berklee College of Music in Boston. He has played extensively in the United States and performed abroad in Latin America, Europe, and Asia. His original groups have shared the stage with such musical luminaries as Lil' Wayne, Ludacris Cedar Walton, Oscar de Leon, Cubanismo, Ozomatli,, Meshell Ndegeocello, Duffy, Blues Traveler, Ricky Scaggs, Brave Combo, Grupo Fantasma, Ocote Soul Sounds, Los Van Van, The Rebirth Brass Band, Little Joe y La Familia & Ruben Ramos. Some of Greg's current and former musical collaborations include such talent as: Duina Del Mar, Andy Kim, Zoumountchi, Hardproof Afrobeat, Kiko Villamazar, That Girl Dre, Suns of Orpheus, Los Bad Apples, Michael Kingcaid, The Motts, Rick Trevino, Tita Lima, Ghandaia, The Crying Monkeys, Topaz, Suzanna Choffel, Luis Angel Ibanez, Charanga Cakewalk, Os Alquimistas, Leticia Rodriguez, Scarlett Olson, Javier Chaparo and Salud,, Ginger Leigh, The Recliners, The McKay Brothers, Paul Klemperer, & Mr. Fabulous. 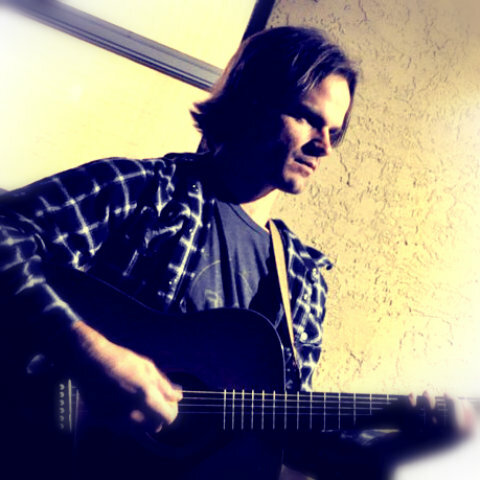 Greg's teaching resume includes guitar and music instruction at The Recording Conservatory of Austin, Victoria College, The Griffin School, Albertson School of Music, Mars Music Learning Center, Casa Brasil, and The Traveling Music Teachers Network. And has taught privately for 28 years. He also has produced music for commercials, web-casts, films, and his own growing discography. MTV 2 & 3. Indie films, The Learning Channel, N.P.R. & P.R.I.. to name a few. Greg has demonstrated his appreciation for the Austin community via benefit performances for such organizations as the Health Alliance for Austin Musicians (HAMM), The SIMS Foundation, Casa Marianella, Posada, Caritas, Catholic Charities, The Workers Defense Fund, Grounded In Music, P.O.D.E.R., The Austin Humane Society, Project School House, The Griffin School and Amigos de Austin. Greg's groups have shared the stage with Lil' Wayne, Ludacris Cedar Walton, Oscar de Leon, Cubanismo, Ozomatli. 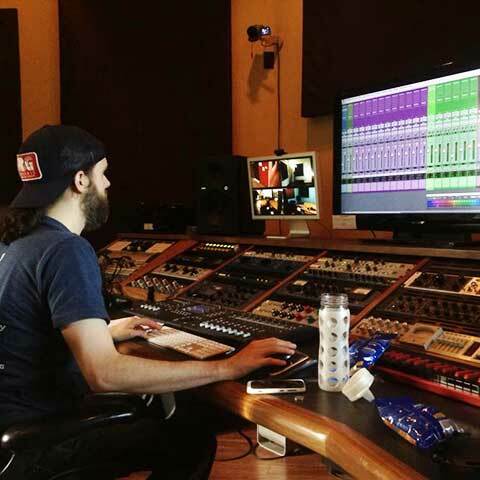 Bradley has spent the majority of his life recording audio, as a hobby at age 14, to his current role as a professional audio engineer and instructor at The Recording Conservatory of Austin. His first foray into audio engineering began in 1995 with cassette tape technology, later expanding into computer-based recording (Bradley was an early adopter of Pro Tools in 2001). He is a classically trained musician, having studied Music Theory as a Composition major at the prestigious music department at the University of North Texas. 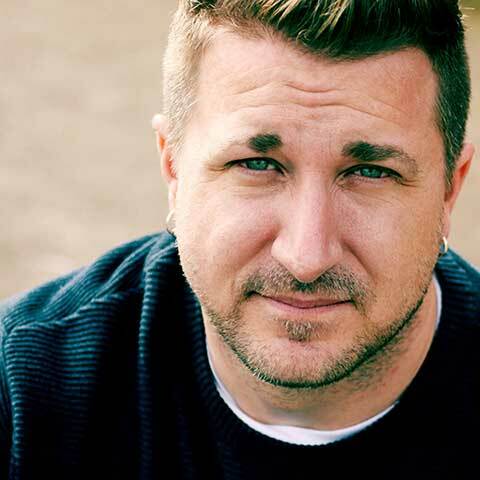 Bradley has been with The Recording Conservatory of Austin since 2009 and has taught all class offerings, including: Beginning Recording Techniques, Music Theory, Beginning Pro Tools, Music Business, as well as conducting tracking (studio recording) seminars. As an instructor, he goes in-depth to teach students about the history and mechanics of recording equipment including: pre-amps, patch bay, digital processes, tape recording, reverb, EQ, compression, and microphones (advanced techniques). With extensive experience both behind and in front of the microphone, Bradley has a gift for making talent feel at ease, and turning out high-quality professional work with particular attention to deadlines. Bradley has recieved over four Million total views for Gigglebellies series. Bradley has recieved over four Million total views for Gigglebellies series. Katie Apple has devoted most of her life to music and the arts. After studying the flute at Syracuse University and earning a degree in Music Industry, she went on to study in the Higher Education master’s degree program (also at Syracuse University). After her coursework in Higher Education, she took a teaching position created for her in the Music Industry department at her alma mater. The youngest and first female faculty member in the department, Katie taught required courses in artist management, copyright, publishing, and international music business and also developed the First Year Forum to support freshman Music Industry students in their first year of study. After her time in Syracuse, Katie moved to Austin and spent six years with the Grammy-nominated professional choir Conspirare working alongside internationally renowned conductor, composer and arranger, Craig Hella Johnson. She served as Executive Assistant to Mr. Johnson and was later promoted to Director of Special projects. During her years at Conspirare, she managed the 100-voice Conspirare Symphonic Choir, acted as project manager of several successful “collage concert” programs, was Managing Producer of six titles in the popular Christmas at the Carillon recording collection, and managed Mr. Johnson’s privately published compositions and arrangements. 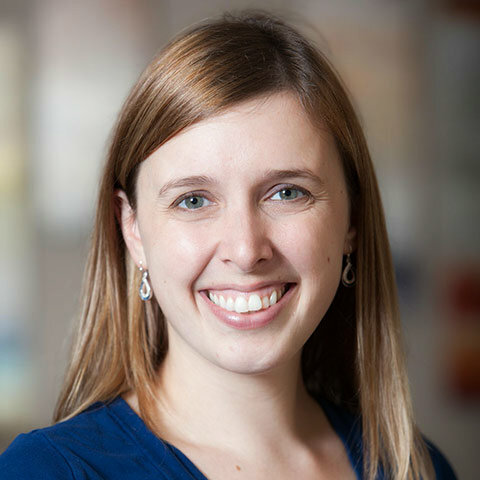 Since 2013, Katie has been working on the major gift development team for the Cockrell School of Engineering at UT Austin. In her role as Development Specialist – Special Gifts Officer, she has managed the processes of donor stewardship and endowment creation. Katie has raised over $200,000 for the Department of Biomedical Engineering and was responsible for cultivating relationships with alumni that led to their appointment as new members of the Biomedical Engineering External Advisory Committee. Katie also teaches the Music Business Development course for The Recording Conservatory of Austin, a school that trains audio engineers and record producers. In this role, she advises students on how to create a new business, file for Limited Liability Company status and develop a business plan. She teaches copyright, licensing, publishing, basic Quickbooks bookkeeping, and the process of digital music distribution. In addition to her love of the arts, Katie is a certified Hatha Yoga teacher at the 200 hour level. She enjoys teaching students of all kinds, but especially enjoys working with cancer survivors and musicians. Katie was Director of Special projects for the Grammy-Winnning choir Conspirare, and Managing Producer for Conspirare's recordings. 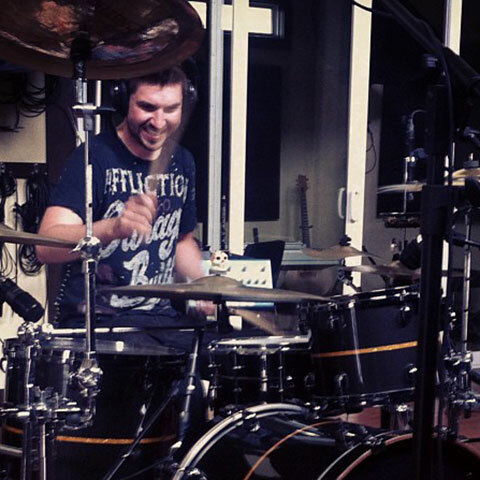 In addition to heading up Administrative Director duties, Admissions, Financial Aid and other daily operations at TRCoA, Ryan is a Professional Independent Studio Session and Live Drummer. 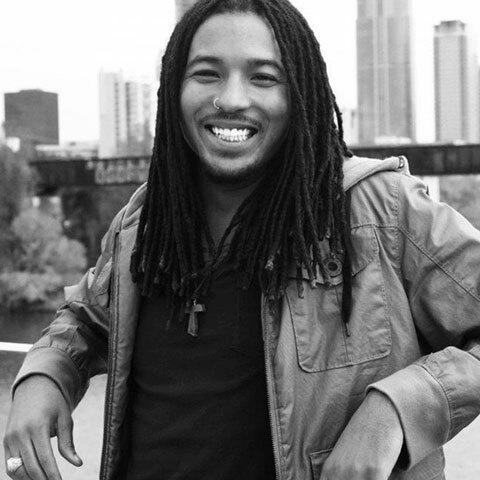 He has performed with national and regional artists including Austin Music Chronicle's 8-year-in-a-row #1 "Best Rock Group" winner Quiet Company, NPR-featured act Tahoma, Study Breaks Magazine's SXSW 2011 "Must See Hip Hop" and #8 Austin Chronicle "Best Hip-Hop" band Drastik IV. He's been featured on studio recordings produced by leading Producers, including studio session work with Producer/Engineer Robert Sewell (Justin Bieber, Little Wayne), and many others. Ryan is also an accomplished drum technician. He tech'd on Trivium's "Vengeance Falls", produced by David Draiman (Disturbed). Rock and Roll Hall of Fame inductees The Ventures, produced by Producer/Engineer Chris "Frenchie" Smith (Santana, Jet). The Vanity, with Producer/Engineer Kevin Killen (Shakira, Peter Gabriel), and more. Hailing from Burlington, Vermont, Ryan moved to Austin in 2010 after his local band Cherry Cassette began achieving some regional success and wanted to cut their teeth in "The Live Music Capitol of the World" and work in the music industry. Having worked under many different stage names (and capes), Ryan is obsessed with any and all drums, is a Game of Thrones enthusiast, foodie, and loves living in Austin with his wife, Pickles. 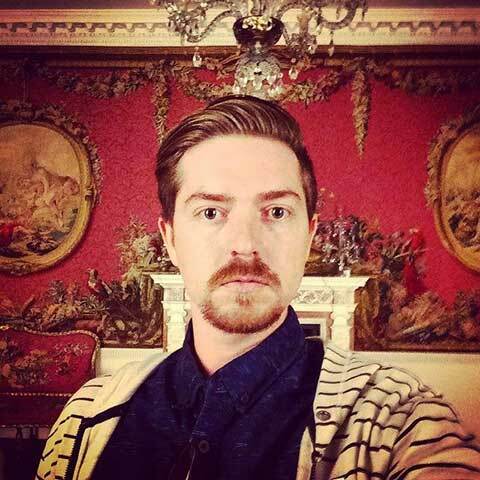 Dominick is a freelance music producer, engineer, songwriter and multi-instrumentalist based in Austin, TX. Dominick started producing music and playing guitar (Fallen For Rejection, Another Story, With Heartless Hopes, Hello Heartbreak, IAMMAN, Secks) at the age of 13 and hasn't hit the brakes since. 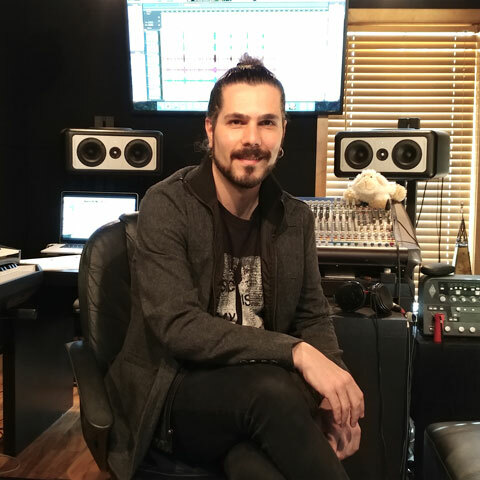 Alongside his musical path, Dominick received a Bachelors degree in Business Management from Texas A&M University in 2010 and Graduated with a certificate in Recording Arts from The Recording Conservatory of Austin in 2012.